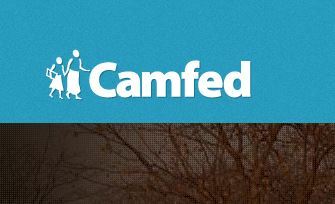 Camfed offers internship placements to students or post-graduates who are planning a career in development and interns are generally required on an as needed basis. Interns provide support to Camfed staff across a range of disciplines—from fund-raising to enterprise and leadership and from monitoring and evaluation to programme activities. This breadth of exposure will allow interns to gain wide-ranging experience in the development sector. Internships are office-based and offered on a voluntary basis for the first three months. Modest daily expenses for food and work-related travel will be covered during this time. In the UK, internships are offered on a 3-6 month period. On successful completion of the first three months, there is the option for applicants to be offered a further three month internship. This will be paid at minimum wage, with five days of paid holiday. Ideally, interns will be able to work for Camfed on a full-time basis. Previous interns have been offered permanent positions within Camfed and have gone on to gain employment in other charities as a result of their experience. If you are interested in being considered for a placement within Camfed when the opportunity arises, please send your CV and letter of application to hr@camfed.org. Please note all vacancies are advertised separately and are recruited at a national level. Contact hr@camfed.org for current internship opportunity.